Depression affects an estimation of one in fifteen adults every single year and one is six people at some stage in their life. For anyone suffering from depression or knows someone who may be suffering from depression, they will agree that this illness is considered one of the most debilitating conditions a person can face. Now to be clear, we are not saying that CBD oil can cure depression, but research is proving that each year those diagnosed with some form of disease are having their symptoms alleviated thanks to CBD oil. Studies have shown that CBD interacts with the endocannabinoid system, these are a collection of cell receptors and agonists in the human body which help regulate normal and essential human functions such as appetite, mood, sleep, pain, pleasure etc. RELATED: CBD vs THC What are the Differences? It is widely debated that depression is caused by a chemical imbalance in the brain. Scientists have agreed that levels of neurotransmitters are reduced during depression, but this is more of a symptom rather than a cause of depression. Two of the neurotransmitters affected during depression are serotonin and dopamine. As mentioned above, it is common for someone with depression to feel sad, have difficulty sleeping, have a lack of interest and loss of energy and this is because the levels of serotonin and dopamine are affected by things such as diet, mental state, exercise and stress levels. Cannabidiol CBD is one of over 60 naturally occurring compounds that is found in all cannabis plants. Endocannabinoids are the molecules found in the human body that act as chemical messengers in the Endocannabinoid system. The parts of our nervous system that contain cannabinoid cell receptors respond to cannabinoids and tell the body to do specific things. 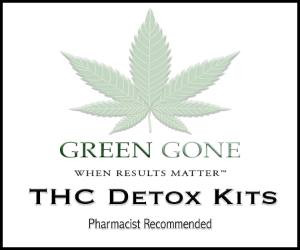 Unlike THC, the cannabinoid that is associated with the high effect people get with marijuana, CBD is different and has a more indirect interaction with those cell receptors, this means scientists were able to extract all of the amazing benefits from this substance whilst also removing the side effects. With this CBD has a unique ability to directly interact with other cell receptors such as the serotonin and dopamine receptors. Therefore, when it is ingested, CBD promotes brain activity and just one byproduct is the release of serotonin and dopamine throughout the body. How will CBD affect Depression? There have been a few different studies that have pointed out the benefits of CBD oil in people with symptoms of depression. In one of the studies, conducted in 2011, whilst studying the modulation of the serotonin system through endocannabinoid signaling, researchers discovered “ample evidence that endocannabinoids are important regulators of stress responses.” Therefore, we can assume that during depression, plant cannabinoids such as CBD have the ability to regulate a person’s response to situations that may stress them out. Jose Alexandre Crippa and colleagues of his at the University of San Paulo in Brazil and King’s College in London observed that at high concentrations, CBD directly activates the hydroxytryptamine (5-HT1A) receptor, thereby triggering an anti-anxiety effect. The most popular antidepressants called SSRI target serotonin receptors and they restrict the level of serotonin that our brain can absorb, therefore making it more available. When there is more serotonin circling around synapses this means the brain is able to communicate more positive signals. These signals then reduce symptoms of anxiety and depression. Cannabidiol use shows similar benefits to SSRI medications and research has shown that CBD has an even more powerful effect than antidepressants. As mentioned below CBD targets 5-HT1A receptors and increases serotonin availability. When examined on a brain scan, people suffering from depression had a similar hippocampal. This is the part of the brain that is in charge of cognition and memory. Trials of small animals have shown that CBD stimulates this part of the brain along with neuron production. Antidepressants have many associated negative side effects and sometimes can increase symptoms of depression rather than reduce it. Compared to antidepressants cannabidiol compounds only have some tiny side effects. Other research has also shown that CBD products have anxiolytic properties that help to treat and cure depression more effectively. It is also considered a viable solution for everyone as there has been no evidence on it being harmful to users. Therefore, meaning it is suitable for children, seniors and pregnant women whereas antidepressants may not be. In conclusion, there is a lot of evidence to show how beneficial CBD has been to people that have been experiencing depression themselves. Because stress is one of the leading causes of depression, using CBD seems to moderately stabilize moods and alleviate stress. It is a quicker alternative to antidepressants and it promotes the natural positive parts of your brain and body to work. I don’t know if i am the only one who experiencing depression because of my grades in school. I am the eldest in the family and i failed them because I did not make it on my graduation day. I have 2 failed subjects. And my mom was very disappointed in me, that’s why i take it seriously i did not come out in my room for how many weeks, i don’t want to talk to anyone, i did not eat also. My mind was floating and i cant think clearly. But my friend recommends me to use CBD for me to cure this depression. And as of now, i see the changes in myself and it really helps. And i read this article https://www.worldwide-marijuana-seeds.com/blogs/marijuana-news/marijuana-myth-busting that it really helps in any kinds of illnesses.